Two new faces join KMI in June. Assistant Prof. MATSUOKA Kodai (Tau-Lepton Physics/Center for Experimental Studies) and Assistant Prof. SAKURAI Nobuyuki (Fundamental Astroparticle Physics/Center for Experimental Studies) join KMI. 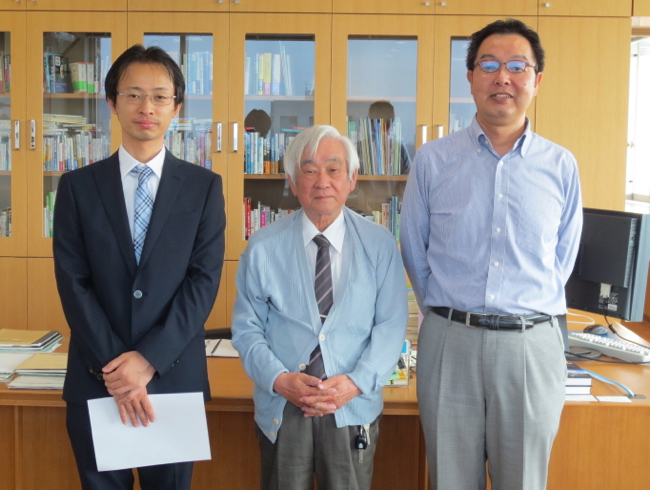 Assistant Prof. SAKURAI Nobuyuki received a official letter of appointment from Director General MASKAWA Toshihide on June 5. From the left, Assistant Prof. SAKURAI Nobuyuki, Director General MASKAWA Toshihide, Prof. IIJIMA Toru (Director of Center for Experimental Studies). 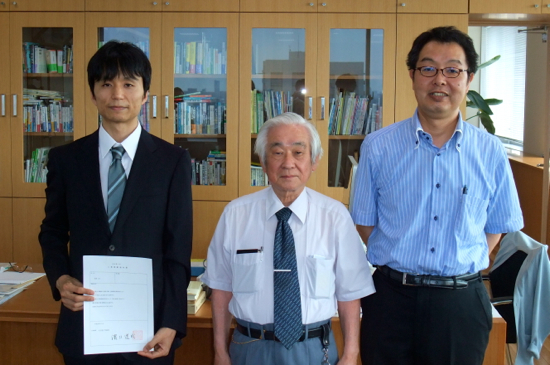 Assistant Prof. MATSUOKA Kodai received a official letter of appointment from Director General MASKAWA Toshihide on June 25. From the left, Assistant Prof. MATSUOKA Kodai, Director General MASKAWA Toshihide, Prof. IIJIMA Toru (Director of Center for Experimental Studies).